Jersey Mike's • Long Island Cares, Inc.
Jersey Mike’s Subs is a prosperous submarine sandwich shop that has a culture rooted in giving back. During their Month of Giving, which happens every March, each franchise partners with a local non-profit and invites customers to donate to that charity. 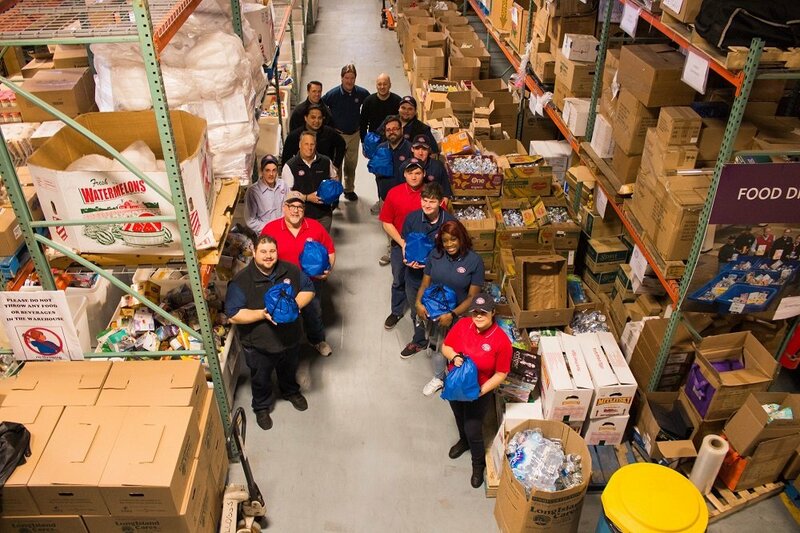 In March 2018, eleven different Jersey Mike’s locations partnered with Long Island Cares. On the last Wednesday in March, the month-long campaign culminates with a Day of Giving. On that day, 100% of the day’s proceeds from those eleven stores were donated to Long Island Cares. 2018 was our first year partnering with Jersey Mike’s and the donations raised throughout their Month of Giving totaled an incredible $40,207. Long Island Cares is grateful for this partnership, their volunteer work, and donations. We are excited to continue working together in the coming months and years and proud to call Jersey Mike’s a corporate hero.